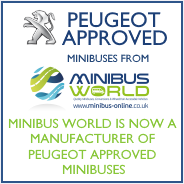 Thank you for your interest in Minibus World. Please visit our showroom to view our full range of school minibuses, lightweight minibuses and wheelchair accessible minibuses for sale. Alternatively please contact us in one of the following ways. Please provide your contact details using the form below including your message. We will contact you very soon to discuss your requirements. Address for correspondence, visits and collections. Customer Services: If you have a complaint or would like to provide feedback regarding the purchase of a minibus please call 01782 516499 or email customer@minibus-online.co.uk outlining what has happened. We will acknowledge receipt within 12 hours, undertake a review within 48 hours and offer a solution if applicable within 72 hours.